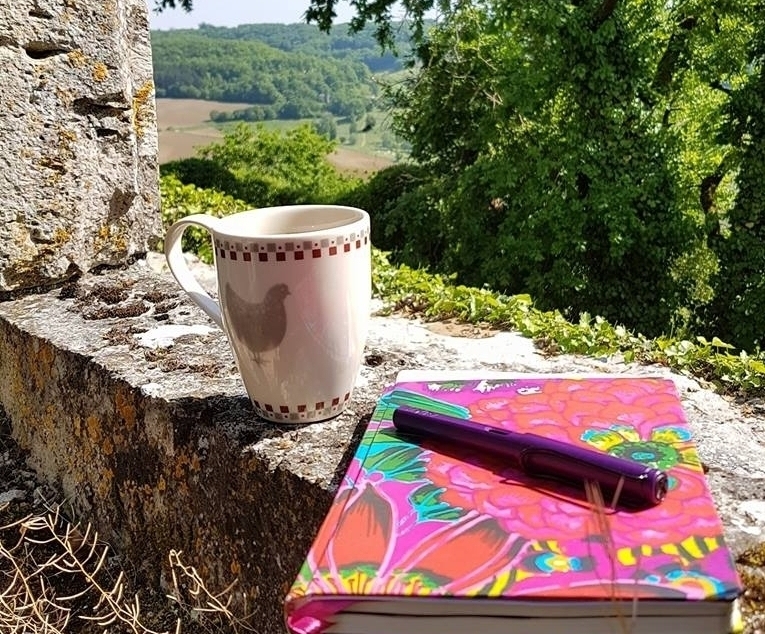 This week-long memoir writing retreat is housed in the magnificent Château Marcoux, an ancient hilltop fortress tastefully transformed into a modern manor house with a breathtaking 360-degree view of the French countryside. Daily memoir writing workshops fill the mornings, while afternoons are kept free for writing and reflection. Optional yoga and meditation sessions provide a beautiful balance to a day of sitting and concentrating, and occasional outings to nearby villages and markets are offered as well. 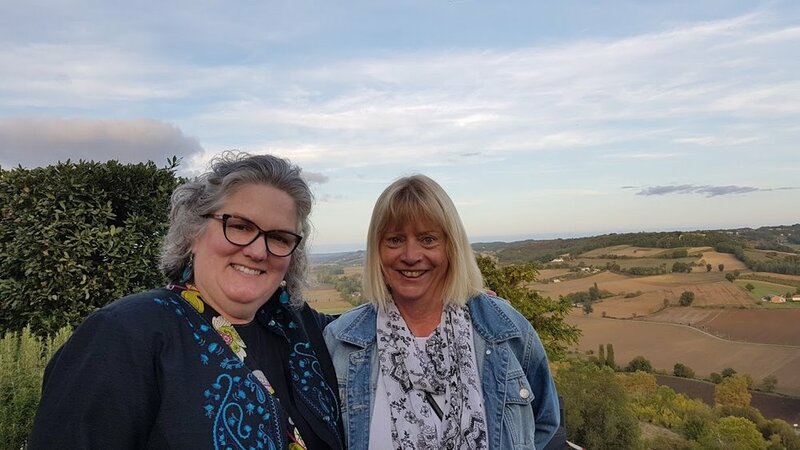 Evenings are enjoyed on the terrace with discussions over wine and candlelight, casual readings, and a meal in the picturesque neighbouring village of Beauville (25 kms west of Agen). A variety of accommodation options, from luxury private suites to shared twin rooms, makes it possible for these extraordinary retreats to be enjoyed by people on a range of budgets. And a work-exchange option is now available. Delicious and nourishing meals are prepared on site using fresh produce from local markets. Vegetarian options are available and limited special diet accommodations can be made. This intimate workshop is limited to 7 participants. THIS RETREAT IS PRESENTED BY CREATIVE LIVING RETREATS. The very thought of going to a writing workshop frightened me, but the beautiful photos of Marcoux lured me in — and they do not even do it justice! 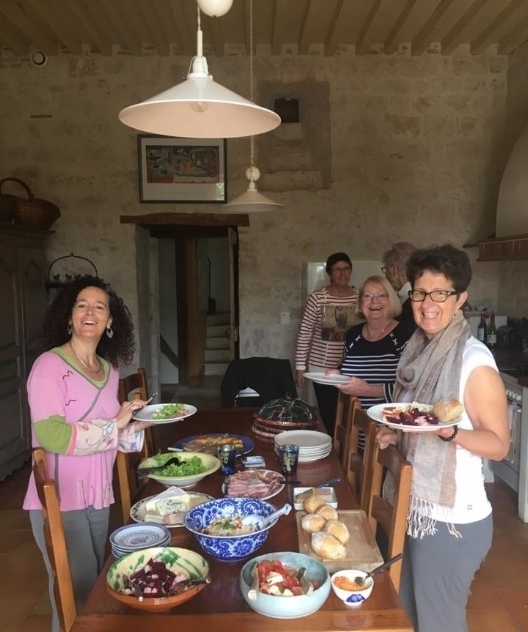 A week filled with learning, laughter and the company of eight wonderful women was an absolute delight. Morning workshops, creative afternoons, luscious dinners with interesting conversations followed by sleep in luxurious surroundings made this week quite unforgettable. 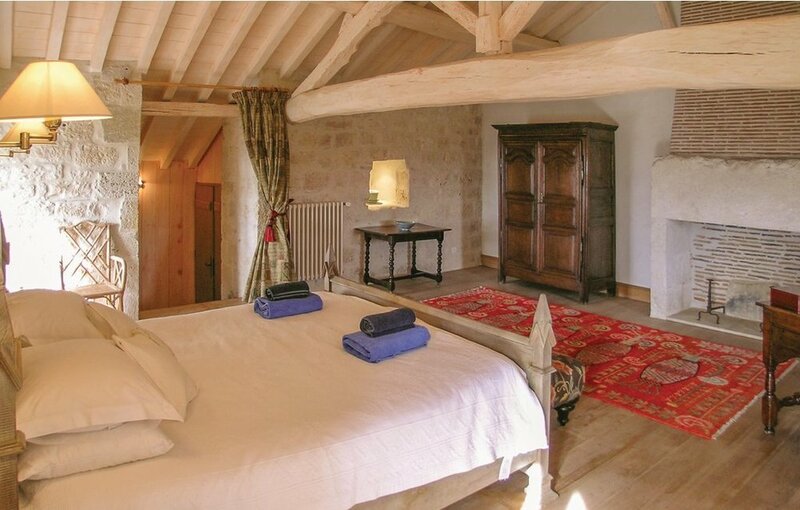 Château Marcoux offers a variety of beautiful accommodation options accessible to people on a range of budgets. Participants are free to choose from shared bedrooms/facilities, private rooms, and luxurious private suites. The large master bedroom, complete with its own mahogany writing desk and deliciously comfy sofa, is a haven for any writer or artist. The room has glorious white-washed eves in the ceiling, a beautiful open fireplace and the best views in the house. With a king-sized bed and an ensuite bathroom with shower and jacuzzi, it is a heavenly space in which to relax and create in solitude. This bedroom is a wonder of rustic artistry. The regional brickwork of the meter-thick walls contrasts with delicate eaves in the ceiling and an antique armour. This room has an ensuite bathroom with both shower and bath. It overlooks the 'hot garden' and the patio, with a direct line of sight to the moon. The quiet gem of the property. For the private soul. This small private suite has an ensuite bathroom with shower. Set slightly away from the house in the 'hot garden', where artichokes grow alongside wisteria and wildflowers. These beds can be booked individually and a roommate will be assigned, or shared with a friend. In either case, this room is for 2 people. * A work-exchange discount is now available for someone willing to provide light help in the kitchen over breakfast and dinner. Pricing is in EUROS (€). 1 Euro = approximately 1.5 Canadian dollars. Does NOT include flight or transportation to Marcoux from Paris/Toulouse (see travel details below). Couples are welcome. A modest additional fee of 250€ needs to be added to the cost of the room for an accompanying partner/spouse NOT participating in the workshop. If BOTH parties are interested in taking the workshop, the additional cost becomes 650€. The nearest international airport is in the city of TOULOUSE, but flying FROM CANADA to PARIS and travelling from there by train to AGEN is just as simple. From Agen, you may either request a pickup, rent a car at the train station (recommended if you plan to explore a bit while at Marcoux), or take a taxi. 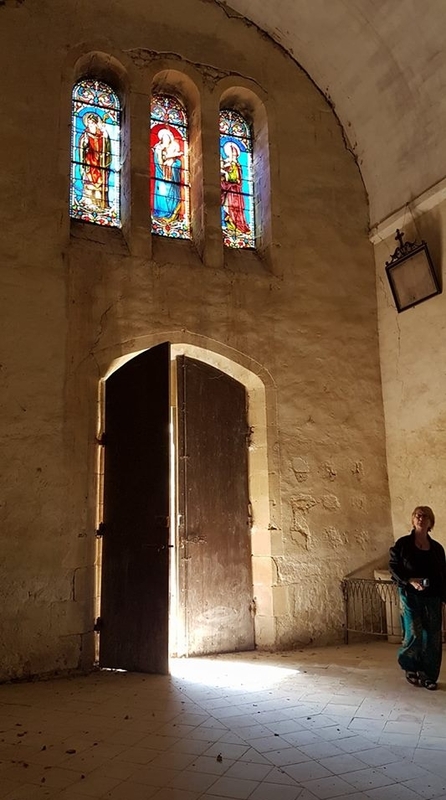 Marcoux is an easy and lovely 25-minute drive from Agen. This was my first writing workshop and Alison created a safe container to hold the participants and their stories. I felt witnessed and respected as I stood in my vulnerability, sharing hidden life experiences that were brought to the light through my writing. Alison balanced honouring my story with practical guidance that allowed me to transform my writing from words on a page to something readers can be part of. 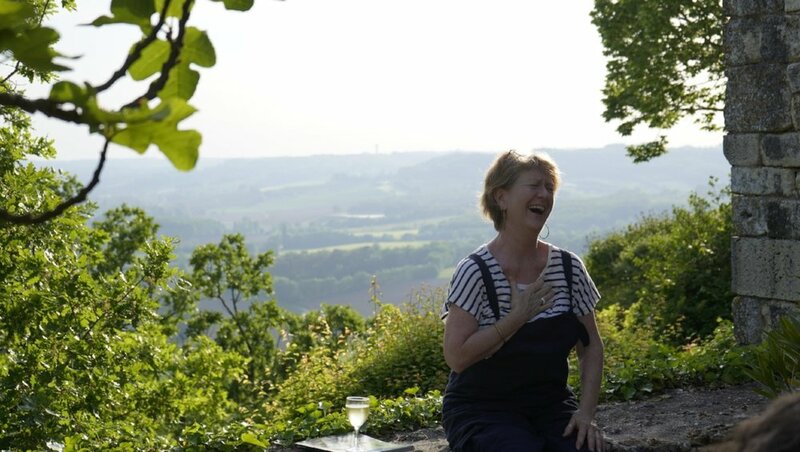 The setting, the food, the care and comfort, the overall feeling of peace — all of this made Château Marcoux feel like home after only a few days. In the writing workshops, it was safe to be vulnerable and to share our stories and obstacles. Alison’s comments and leadership, her examples, analogies, suggestions and questions were all thought-provoking, kind, caring and helpful. And then there were the moments of raucous laughter.